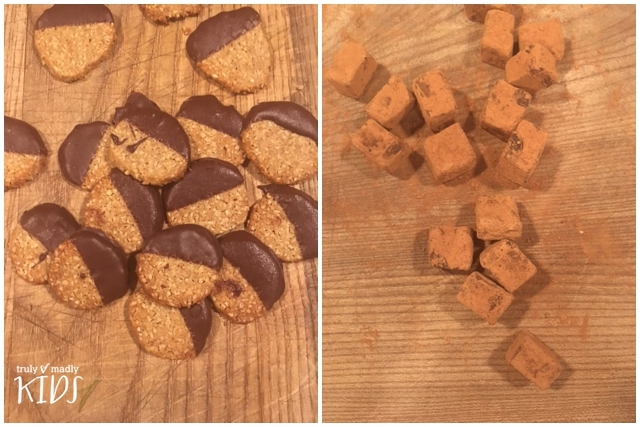 As the days towards Christmas slowly creep up on us, we turn our minds towards what we might like to put together as part of the festive spread – well we do in our house! We’ve had experimental quails eggs wrapped in bacon as starters, roasted cauliflower with toasted sesame seeds, all kinds of variations on turkey but we have never before tried our hands to brining or curing meats. Step forward one of the senior chef’s, Andy of River Cottage HQ, with his handy festive tips on how to prepare the juiciest of turkey’s and the formulae for the perfect bresola. Full details further down this post for those foodies who fancy having a go at this. 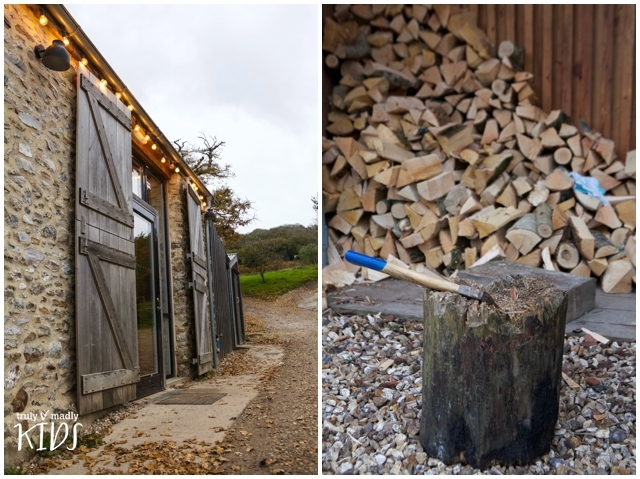 So a few weeks ago I was invited to take part in a group bloggers event at River Cottage HQ, somewhere I had always wanted to visit but never been. I’ve long been a supported/stalker of the beloved national treasure that is Hugh Fearnley-Whittingstale from the early days of the Channel 4 series which launched him into our living rooms right up to today’s major campaigns on waste and environmental responsibility. 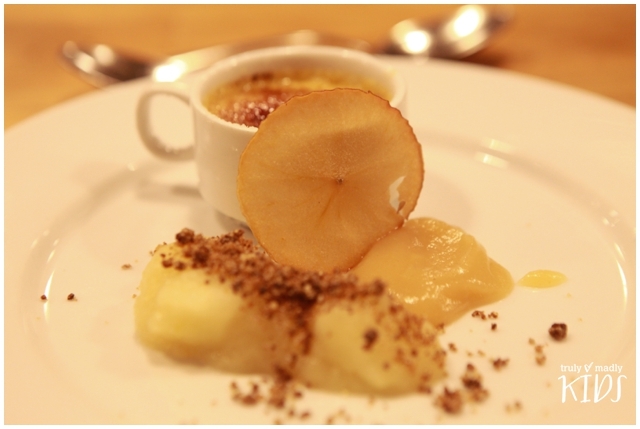 The ethos of eating local, sustainable food and eating seasonally is something which resonates with me very much. My daughter recently decided to try being vegetarian and we bought The Everyday Veg cookbook which is full to the brim with lip lickingly tasty treats with not a grey over boiled cabbage in sight! It’s converting the rest of the family into the joys of rainbow food and how to make substantial delicious family meals. Anyhow, I digress, needless to say I was giddy with excitement to get down to the event. 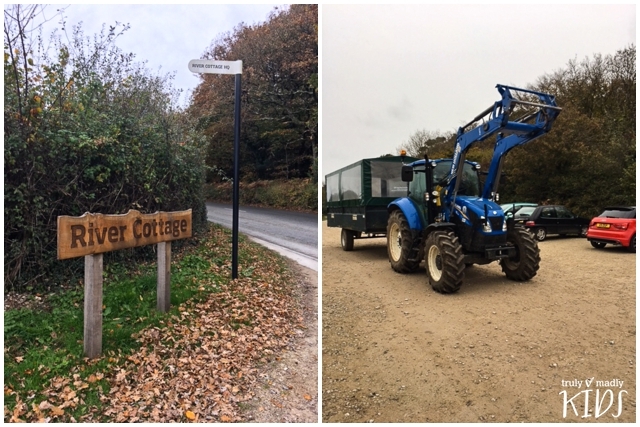 We arrived in the drizzle to be greeted by the super friendly River Cottage team and the tractor which was to take us down the muddy track to the cottage from the top car park. 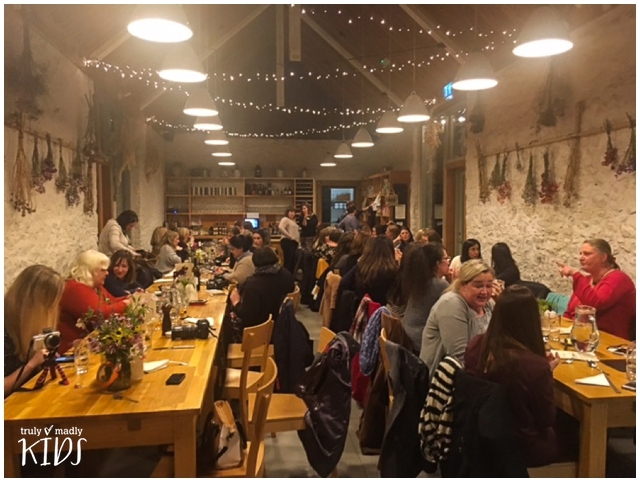 Once we disembarked, we made our way down the gravel path into the great barn and warmed up with a welcome drink and drop scone, just the ticket before the cooking demonstration session. 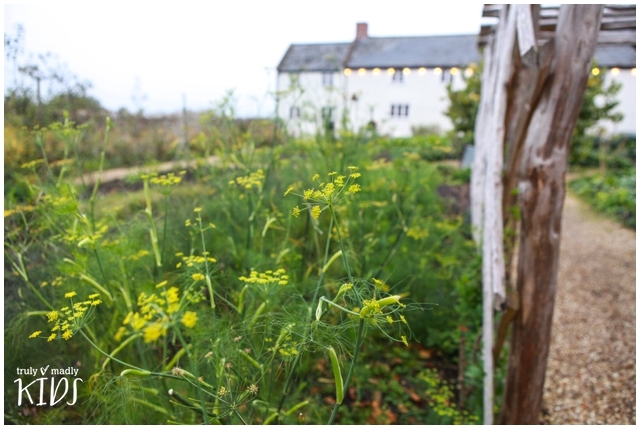 We had time to explore the famous River Cottage kitchen where Hugh films for his TV series and explore the kitchen garden which despite the time of year still was filled with gorgeous looking herbs and veggies. 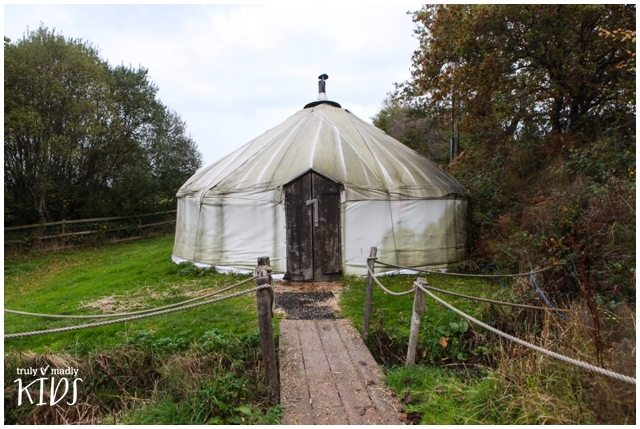 The yurt was fuelled with logs and warm and toastie with sheepskin throws on stacked bails of hay and a gorgeous Welsh dresser with books and flowers. On site, there is a cookery school where apprentice chefs were busy going through a lesson with one of the senior chefs and everywhere the atmosphere felt cosy and friendly. 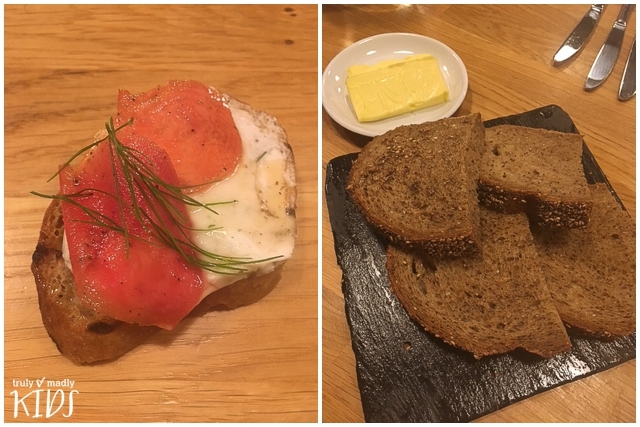 After exploring, we returned to the barn and were served a series of canapes, each more delicious than the previous, in a steady stream on wooden boards to sample before we took our seats for the cooking demonstration. 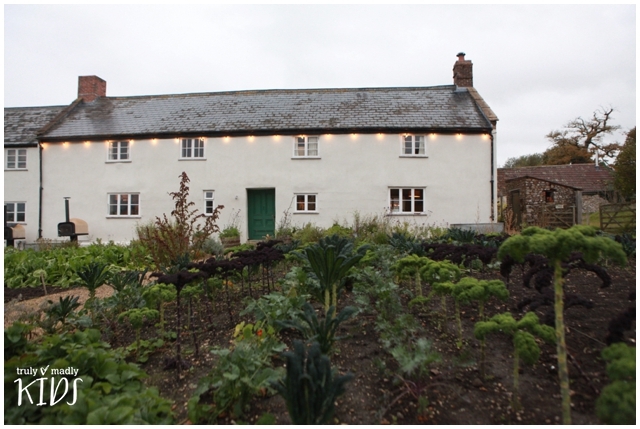 So here’s where your little Christmas fairy comes in, after speed typing and listening through Andy’s demo, I have listed here the recipes and methods to re-create your own River Cottage Christmas Feast ideas at home. We first tackled the issue of brining meat – essentially a process of soaking raw meat to allow it to absorb moisture and flavour before cooking and ensure a super succlent meaty joint. I’ve deliberately left my notes in the same format as I took them down so they are a loose guideline to the process. 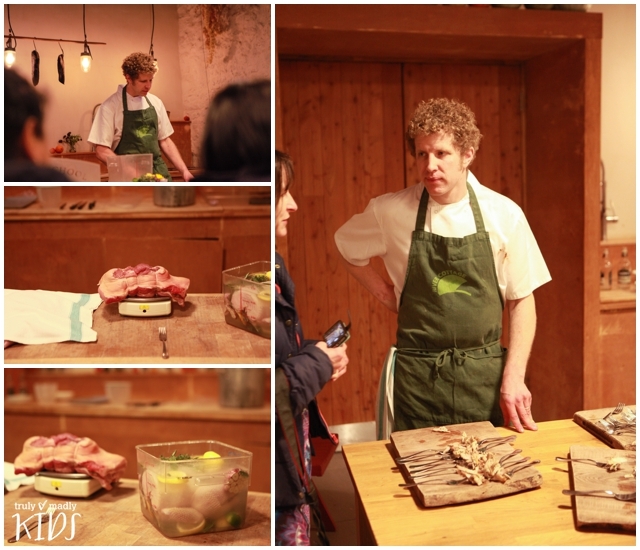 Andy explained that brining has traditionally been one way of extending the life of a joint of meat to last long after the main event on Christmas Day. For the demo he used a slab of pork and a leg of ham. All subtle flavours that build up the longer the meat is in the brine solution. Take your chosen cut of meat – eg. pork/beef/venison. Select the brine strength accordingly up to a max of 20% brine for every litre of water for pork, beef or venison and a 10% brine strength on other types depending on fat content. Salt opens up the cells and draws out moisture from the joint. Cold brine method used in the demo but you can do a warm brine to infuse flavours together more intensely. Bring the liquid brine mixture to the boil 5-10 mins turn off cool down completely before you put the meat in very important. 3 days per kilo of meat – somewhere cool garage/balcony etc. Non reactive metal earthenware crock or plastic bowl or vacuum bag is the best container to use. Front leg of the pig – picnic ham. Dry it out, pat it down and leave uncovered in the fridge. 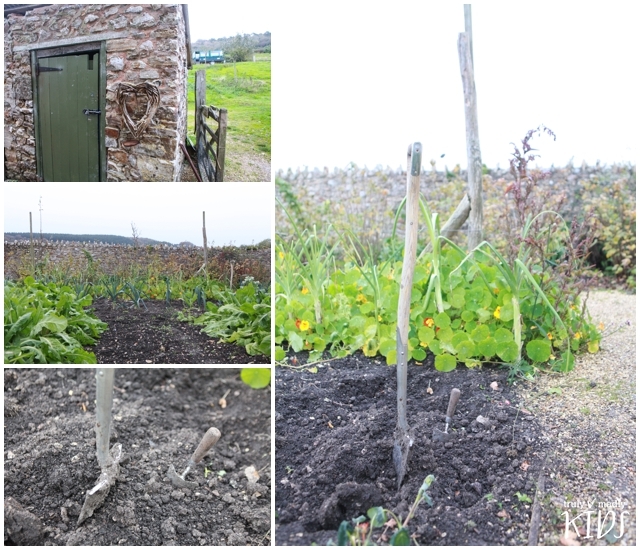 12 degrees and under in larder alternative to refridgeration. Cooking – boil it, cool down, glaze orange juice, mustard etc. so sticky on outside. Take fat off whilst hot then glaze, baste and put in the oven. Keeps more moisture in the meat than traditional basting. Find a container to fit meat snugly. 10% brine solution for this – see above. Measure amount of liquid after lifting out meat of the container then top up. Add salt stir till it dissolves – sea salt is Andy’s personal choice over table salt. 1 day brine overnight for a chicken. Turkey’s typically take 2 days. Andy’s tip: Use a heavy plate to weigh the meat down and keep it submerged. Silver side cut, always weigh cut of meat before you start. Ideally use a large freezer type bag for this wet cure. Salt, 3% salt for weight of meat per kilo. Liquid – red wine works best, enough to cover the meat happily. Temporello was the selected wine. Andy’s tip: just ensure it’s decent drinking wine. Massage the ingredients firmly into the meat. Seal up make sure meat is submerged (remember the plate). Keep it in the fridge for 5 days (8-12 degrees fridge). Dry it off teatowel/bit of paper. Allow to air dry for around 10 days in total. Outside or larder perfect for the drying but essentially it needs good airflow and can’t be stagnant area like a cellar. If you use the fridge – make sure the meat has space for air to circulate and do not cover it. Turn it every few days and around 10 days it will be ready. From this point onwards it dries out more but will last on average for 2/3 weeks although you’ll probably have eaten it all well before then! 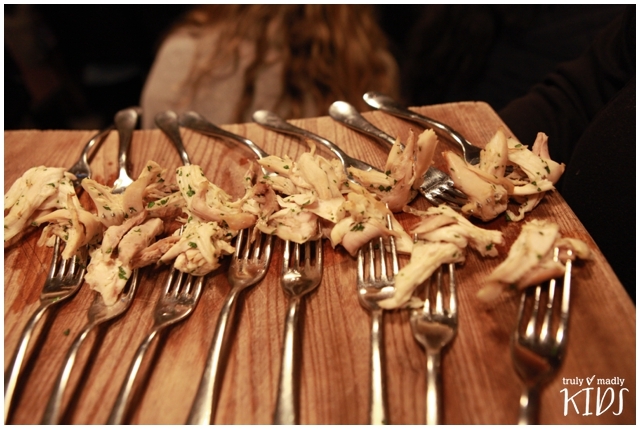 Andy’s tip: place two wooden spoons underneath the meat to allow air to flow. Wrap it up tightly to keep it from drying out. Cut against the grain to slice into long pieces and ask your butcher for a cut which is long grain. As you can imagine, everybody was pretty ravenous by this time having just experienced the cooking demo so we took our seats for dinner. Look away now if you are at all feeling peckish because it was seriously impressive and lasted over 2 hours from start to finish. 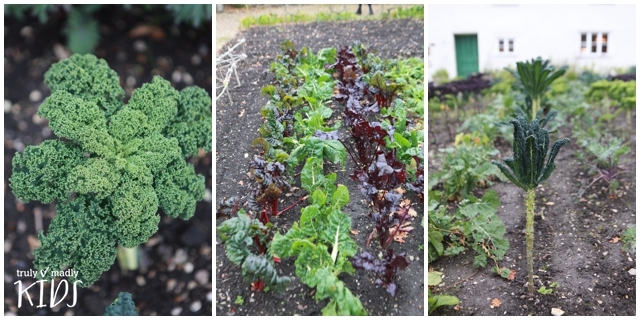 Will and Adam are the gardeners who pick the fresh ingredients from the kitchen garden that go into the dishes the team create. 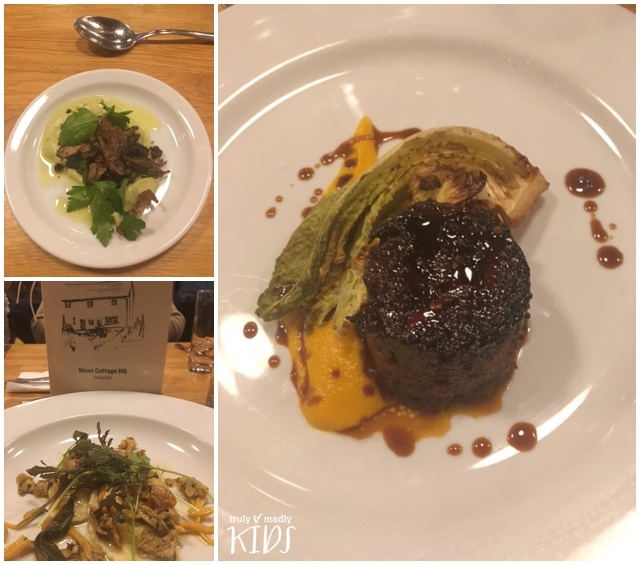 Sam read out the details of what we would be devouring with all the interesting foodie low down on where and how they inspired each dish. A true foodie moment for me as I listened intently busily typing away into my phone all the important details. I hope I haven’t missed anything out Sam! Tempted? 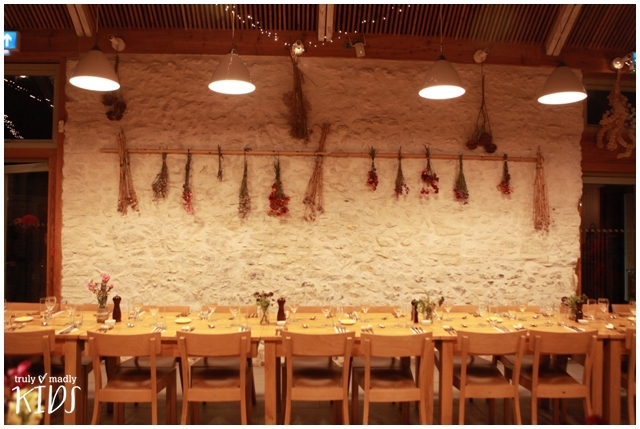 Well it’s not too late if you get onto the River Cottage website, you can book a festive feast in the barn for yourself. 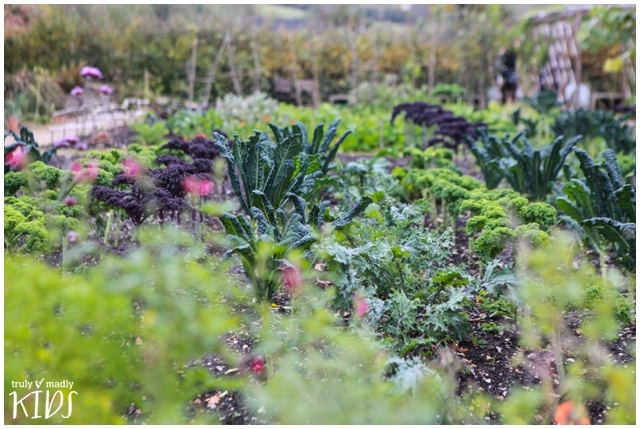 Huge thanks to Foodies100 for organising the trip and of course to all the chefs, staff and people we met at River Cottage for their infectious passion for what they do and wonderful event. Right, I’m off to get my turkey in some brine! Remember, adventure is out there. 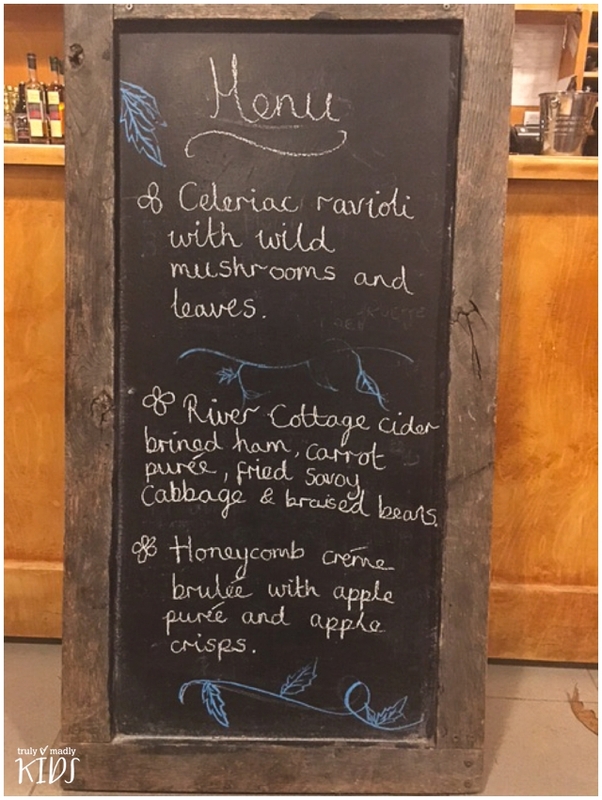 I was invited to attend the River Cottage Christmas Feast free of charge, in exchange for a blog post, but all thoughts and opinions are my own.